So you have a partner, and just maybe thinking about getting more serious together? As much as you need to make sure your personalities are compatible, you should also understand that having a partner means sharing life with them, and an integral part of life is finances! Finances can impact your relationship in many ways; from your current financial situations as all the way to your views and ideologies about relationship finances. 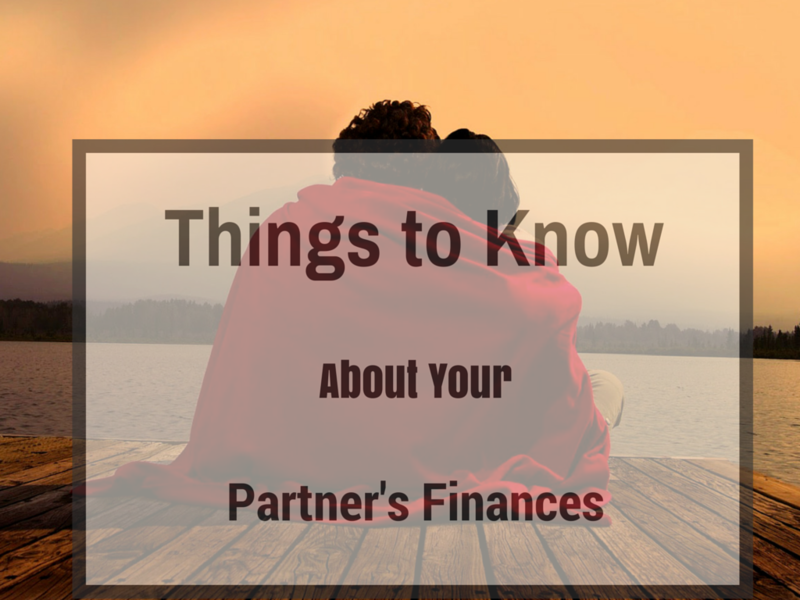 Knowing your partner’s finances is important to be fully aware of what you’re going into! If you’re new in to the relationship, finances might not matter big but, believe me down the line finances will take a front seat in your relationship. It’s going to be so important that it can break the relationship if there are a lot of differences in your attitude towards money. Everyone seems to look at money differently; for some it’s just a means to an end, earned to be spent, for others it’s the ultimate goal, always striving to have more and more! Some lucky people even take money for granted! You should know what money means to your partner; their philosophy about money gives you the first clue as to how they handle their finances. Since you will be sharing a life with them, it is important to know their income sources, amounts and regularity of these sources. You should know their situation at their current job if they have one, and their future employment plans as well. Do they have a full time job? part time job? Maybe freelance? Are they unemployed or will they be staying at home? How will they contribute to the relationship in terms of finances? You should be aware of your partner’s assets and how they will factor in your future; as a couple assets can be of great use to you, but how will these assets be treated? Will they be shared or remain private? Can it be used to cover unforeseen circumstances? Will both of you have the decision to manage it? Does your partner have savings? Are they planning to have in the future? Do they have a retirement plan? Will these savings be shared? Do they have any large planned expenses in the future that will deplete these savings? Savings are all about the future, and since you will be sharing it, you have to know how their future plans will merge with yours. Heard the analogy, “till debt do us part”? Widely prevalent in today’s society, debt is something you should definitely be aware of! Is your partner in debt? If so, how much is it? And what type of debt is it? More importantly, you must aware of how these debts will be treated in your relationship; will it be their debt only? Or will you both pay it off? Will you both get a mortgage later on? Just like savings, debt is a future consideration, and it should be discussed with your partner. Read Also – How to catch if your partner’s hiding money. Few people have the privilege of spending money indiscriminately; most of us have to prioritize our spending according to what is more important to us. When it comes to you and your partner, you should know how your priorities will unite. Also as a couple, you might face financial difficulties together someday, and that will require that you further narrow your priorities, how will that go? Everyone has their own spending habits; whether its home improvement or gambling sprees, each person has his own spending channels to go along with their lifestyle. You should be aware of your partner’s spending habits to avoid shocking surprises in the future. Expensive hobbies, addictions or persistent medical issues are just some of the things you might want a heads up on. Separation dies happen on the spending pattern alone. If one is frugal and thinks before spending even a single penny whereas the other doesn’t care at all about the spending then sooner or later, you’re going to have problem. Alone or together, your lives will not be emergency-free. There are always times when an unexpected costly situation will happen, and in these times it makes all the difference if you have an emergency fund ready to cover your back. You and your partner should be aware of each one’s emergency fund sizes, or if at all. You should know if there is one, and if there isn’t, you should discuss how you both will save up to create one. If you want to spend your life together and merge your finances together eventually then having an ideal size of emergency fund is good for you as a couple. Credit history is especially important if you and your partner plan on taking a joint loan sometime in the future. Credit scores affect your offered interest rate directly, and a bad credit score could make getting a loan much harder, as some institutions may outright deny the loan request! When you apply for a loan or mortgage, it makes sense that the person with a better credit sign the papers, unless you decide to put your names together. Probably the most important thing you should discuss with your partner; relationship finance is a scary subject, but also one that is unavoidable. How will each of you contribute to the relationship? Will you both contribute equally? Will it be proportional to income? Will one partner be the only financial contributor? What about private and joint accounts? Can spending decision be taken individually? Those are just some of the questions you might want to ask! A relationship can be one of the best things in your, something that keeps you going against the resistance of life, but you have to think smartly and handle issues like this with clarity and openness for smooth sailing! I was married 10 years ago, with the very young age. I thought he was the one, but I was totally wrong. He was very irresponsible, especially when it comes to financial matters. Clarise, it was the opposite in our case. But now she’s almost at par with me. What worked, is my blog posts over the years convinced her to save money, rather than spending it away. I hope you experience the same. I wish we’d been more comfortable talking about our finances before we got married. This is a great list; thanks for sharing! There’s never too late. Try to have your husband participate more in the money discussion. Slowly raise his awareness, ultimately you’ll achieve what you want.